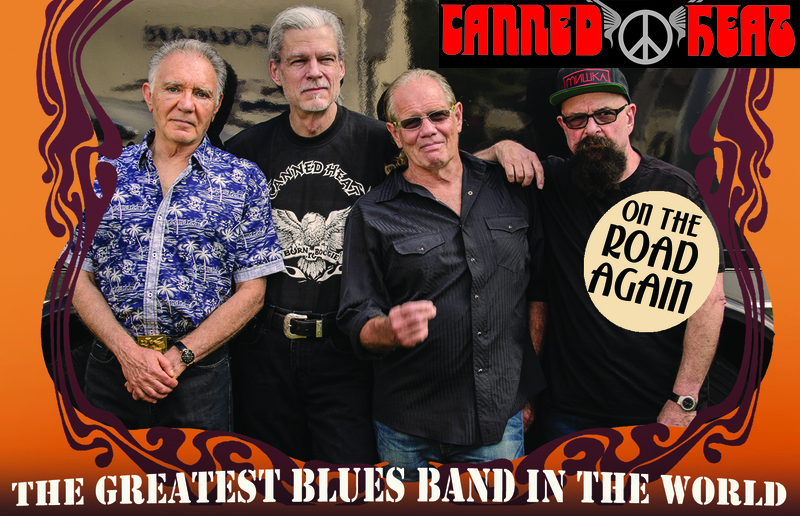 Canned Heat rose to fame because their knowledge and love of blues music was both wide and deep.Emerging in 1966, Canned Heat was founded by blues historians and record collectors Alan “Blind Owl” Wilson and Bob “The Bear” Hite. Hite took the name “Canned Heat”from a 1928 recording by Tommy Johnson. They were joined by Henry “The Sunflower” Vestine, another ardent record collector who was a former member of Frank Zappa’s Mothers of Invention. Rounding out the band in 1967 were Larry “The Mole” Taylor on bass, an experienced session musician who had played with Jerry Lee Lewis and The Monkees and Adolfo “Fito” de la Parra on drums who had played in two of the biggest Latin American bands, Los Sinners and Los Hooligans. The band attained three worldwide hits, “On The Road Again” in 1968, “Let’s Work Together” in 1970 and “Going Up The Country” in 1969 became rock anthems throughout the world with the later being adopted as the unofficial theme song for the film Woodstock and the “Woodstock Generation.” They secured their niche in the pages of rock ‘n roll history with their performances at the 1967 Monterey Pop Festival (along with Jimi Hendrix,Janis Joplin and The Who) and the headlining slot at the original Woodstock Festival in 1969. 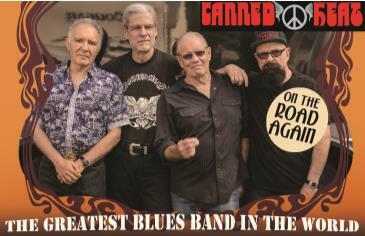 Now, more than fifty years later and with thirty-eight albums to their credit, Canned Heat is still going strong. They have been anchored throughout the past forty-five years by the steady hand of drummer/band leader Adolfo “Fito” de la Parra. Joining “Fito” is original bassist Larry “The Mole”Taylor and New Orleans legend, Dale Spalding on harmonica, guitar and lead vocals.Chicago great Harvey Mandel recently departed to resume his solo career and John Paulus has rejoined the band as lead guitarist.